In the first half of 2019 Maggi will take a baby pause. She chose Magda Rudzik as her replacement, a long term student of Maggis and part of Maggis dance crews Primetime Danzas and Primetime Dimension. This class is for everyone who wants to get to know the Jamaican street dance culture, no matter if man or woman. Especially men shouldn’t be shy to come as the focus is on dancehall steps that come from Jamaican men. If you have some dance experiences already that can help you but it is not necessary for Maggis class. 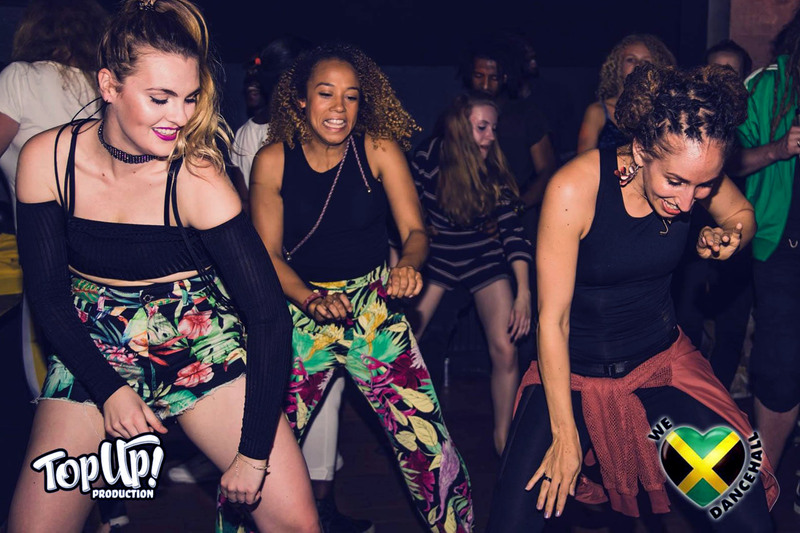 You will learn all styles of dancehall: basics from oldschool and middleschool dancehall as well as the technical challenging newschool contents. Male and female dancehall steps are part of this class as well as techniques for body isolations and coordination. If the class wants Maggi can also show some traditional folk dance steps from Jamaica that come from west african dances. Maggi is stylish moves teacher what is a subcategory of dancehall focussing on stylish female moves. This class contains mainly teaching of styles and technique as dancehall bases on single moves that have different meanings that Maggi wants to show her students. Using this movements there can be choreographies but there is not one choreography per lesson. Dancehall is a worldwide unique dance culture that is lived and created in Jamaica where Maggi goes regularly since 2011 to learn more and more about this style of dance. Her aim is to get her students in touch with the Jamaican dancehall culture and to understand not only the steps but also the background of this amazing dancing.